The ringtone might not be the most important iPhone X exclusive, but it would still be pretty cool if we could use it on other phones. The good news is, you can get the iPhone X ringtone on your phone regardless if it’s another iPhone or an Android device. Normally, Apple releases an exclusive set of wallpapers every time they launch a new iPhone. This time, they also made an exclusive ringtone. Lifehacker was generous enough to share the M4R file containing the iPhone X ringtone with everyone else. Since the ringtone is exclusive to the iPhone X, Apple doesn’t provide an official way to get it for those who own other smartphones. However, it’s easy to make use of the available M4R file of the ringtone and we’ll explain what you need to do below. To begin with, iOS developer Guilherme Rambo was kind enough to tweet a preview of the ringtone called Reflection. 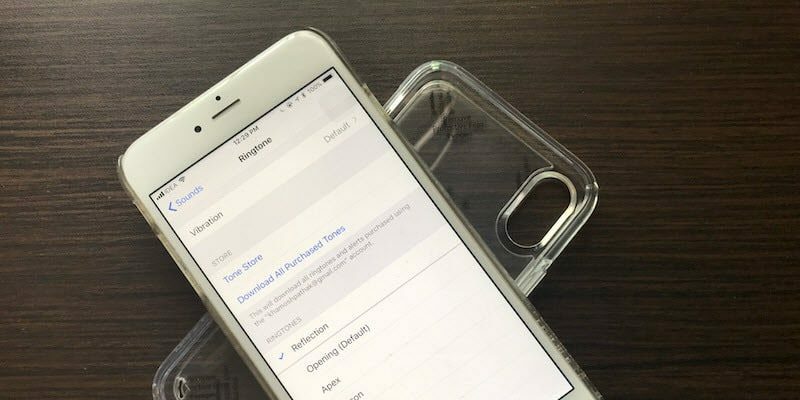 You can check it out below and decide if you actually want to get the iPhone X ringtone on your phone. If you own an iPhone, you just need to transfer it to your device via iTunes or another app that can transfer files to an iPhone. For the purpose of this guide, we’re using iTunes. Connect your iPhone to your PC and launch the iTunes app. Once it detects your device and displays it in the left pane, click the small arrow next to it. This will open the content categories. 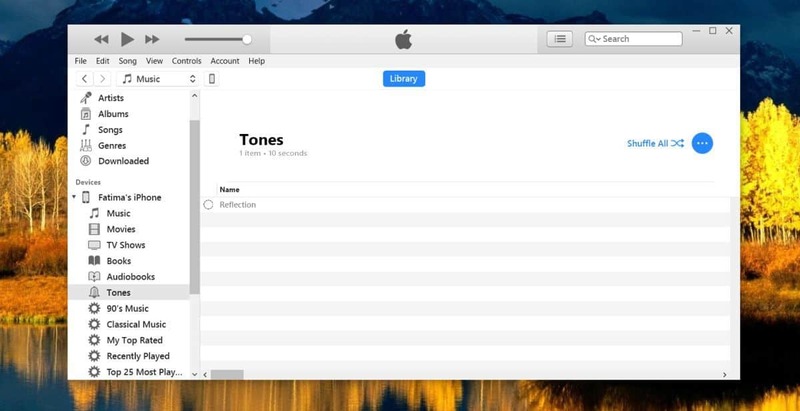 Find the category called Tones, and drag and drop the ringtone file you just downloaded on top of it. Right-click the Tones category and select “Sync” from the pop-up menu. Wait for iTunes to sync and perform a new backup then open the Settings app on your iPhone. Navigate to Sounds -> Ringtone. Reflection, the new ringtone should be listed at the top. Tap it to set it as your new ringtone. You’re done! If you want to use the iPhone X ringtone on an Android device, you will need to convert the M4R file to an MP3 file. There are various ways you can do this, but a simple solution would be to use an online tool such as Zamzar. Then, connect your Android to your computer and open its internal storage. Find the Ringtones folder and copy the MP3 file there. Next, open the Settings app on your Android and navigate to Sound -> Phone ringtone. You should be able to see the new ringtone listed there. If not, tap the “Add ringtone” option and select the MP3 file from your phone’s storage.